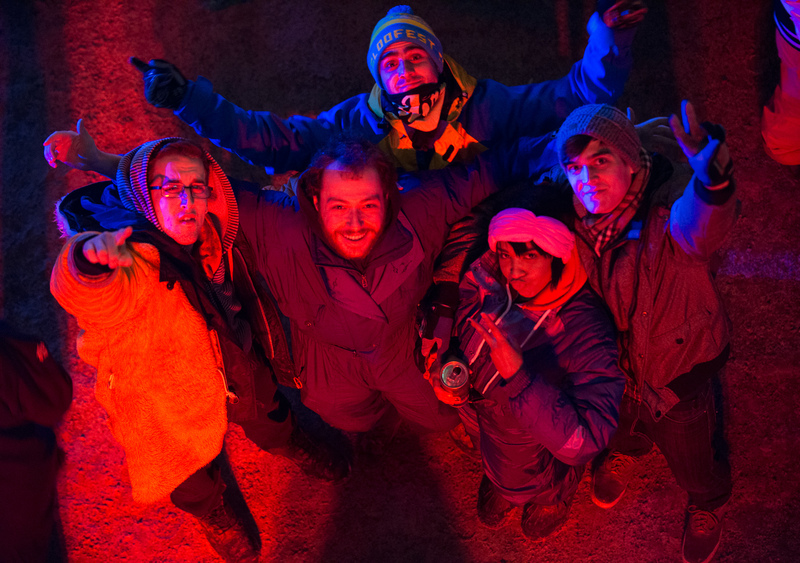 Igloofest has become an institution. It’s that time in winter where checking the weather report fires me spiralling through the stages of grief. Christmas has passed, the snow keeps falling and hoofing it through the streets is left exclusively to excursions of necessity. Right when I’ve polished my skills at finding excuses to stay home, hiding away from the snow and cursing the evanescent daylight. Right when I’m ready to give up on the season and turn grizzly; eat and sleep and curl up in a dark hole of extended hibernation. Right at this moment Igloofest comes along and reminds me, reminds us all, that there’s no amount of accursed hypothermia-incarnate that can kill this city’s party. So we collectively bundle up. Adorn ourselves with neon, Mardi-Gras-esque costumes and an environmentally disastrous stockpile of chemical hand warmers. Welcome to the only festival that I’ve ever heard of where the beer isn’t chilled but warmed to just above zero Celsius. A bacchic festival of electronic music and ice sculptures, Igloofest is unique to Montreal and is gaining world recognition. Last year over 70,000 revelers took part in the open-air festival of frost, and judging by the crowd in attendance on Saturday its rise in popularity is not slowing.